T-Mobile bested its own top score from last year to secure the top spot on J.D. 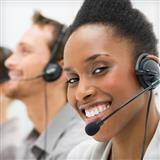 Power’s Full Service Wireless Customer Care Study, setting a record with a score of 839. Not only is this the 16th time that T-Mobile ranks highest among competitors, but the provider has also set a record for the second year in the row. Once again, this year, the company delivered the highest score ever received in the survey. J.D. Power’s study considered feedback from more than 14,000 customers and found that one of the biggest lessons that providers can learn is that continued employee training works. According to the study, cross-training at call centers has reduced the amount of transfers required before a customer service issue is resolved, which results in higher customer satisfaction. "With cross-training, carriers have empowered customer service representatives to resolve problems across both billing and technical issues—when transfers and hold times go down, satisfaction goes up." As for T-Mobile specifically, the company owes its success to doubling down on seamless customer experience across channels, including its call center, online chat, and in-store service. Though the provider has robust self-service capabilities and helpful support resources on its website and app, it continues to deliver full service effectively via its reps. J.D. Power also found that not only were T-Mobile reps knowledgeable and helpful, but customers also found them to be courteous as well. MetroPCS, which is owned by T-Mobile, also earned highest honors, but in the Non-Contract Full Service segment for Overall Customer Care. "These chart-busting results show the world what we already know—the incredible care teams at T-Mobile and MetroPCS are making customers happier than anyone else in wireless…again and again and again. It takes a customer-obsessed team to deliver these kinds of scores." Sprint, meanwhile, which is in the middle of a merger with T-Mobile, came in last. In an industry often criticized for poor customer satisfaction, T-Mobile rose to the top, beating out competitors AT&T, Verizon, and Sprint in the American Customer Satisfaction Index. On ACSI's 100-point scale, T-Mobile earned 74 points while Verizon and AT&T both earned 71. Though the victory margin is slim, T-Mobile's improvement is noteworthy—the carrier's score grew by 4 points. Sprint was the most-improved carrier, raising its score from 65 to 70 this year, but the company fell behind its three primary competitors overall. For the third straight year, Associated Bank's contact center is recognized for providing an outstanding live phone channel customer service experience. T-Mobile is the latest brand to become an Apple Business Chat partner, which means the company will now offer customer support via Apple's Business Chat tool. For consumers, this development spells convenience—now, they can use the iMessage app on their iPhones or iPads to connect with T-Mobile customer service representatives.